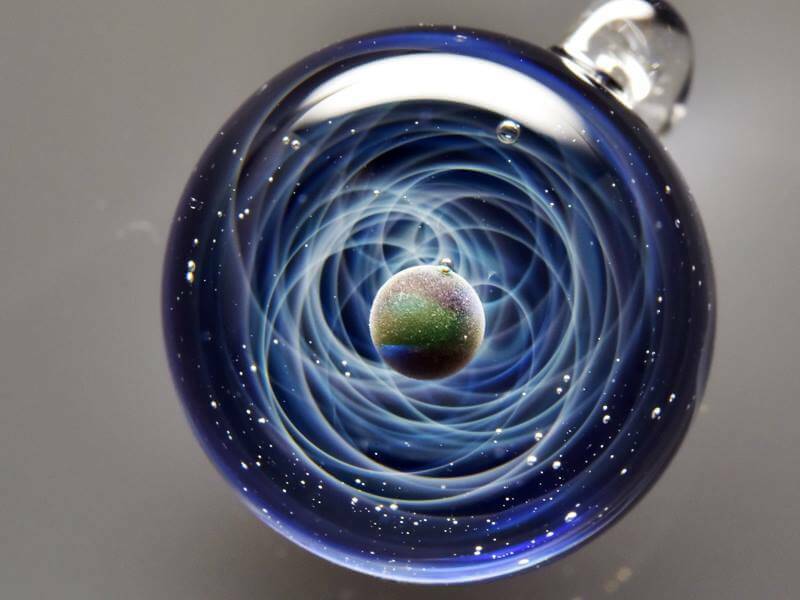 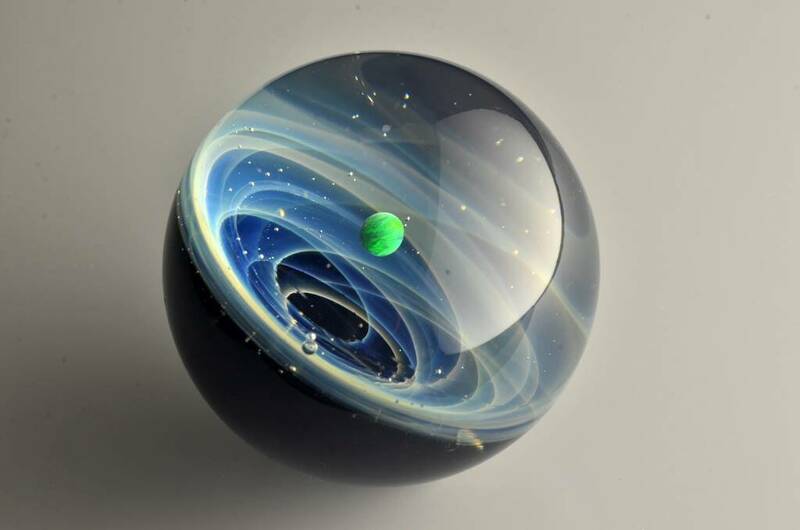 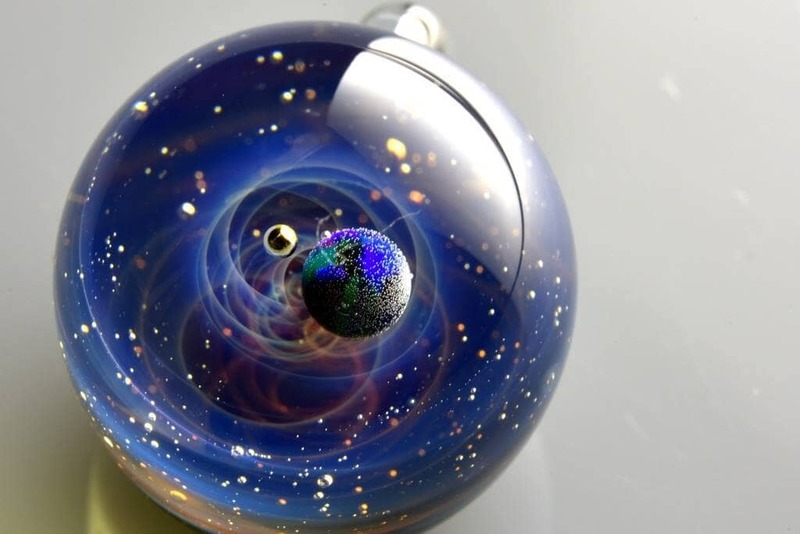 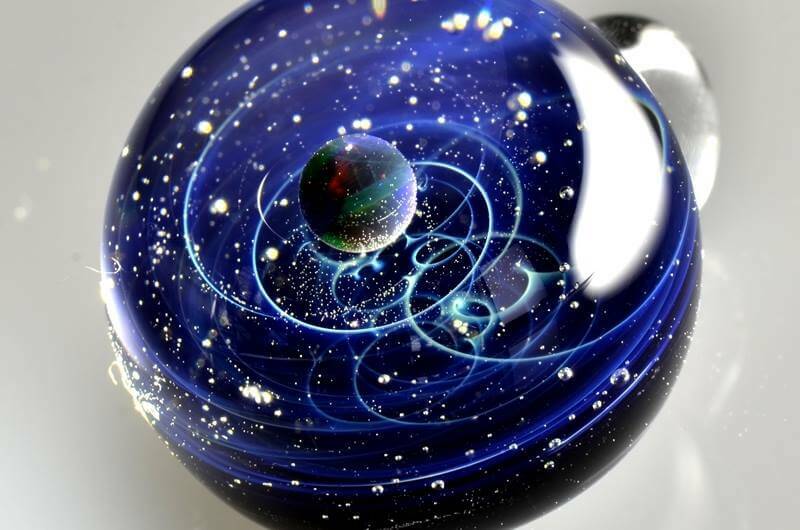 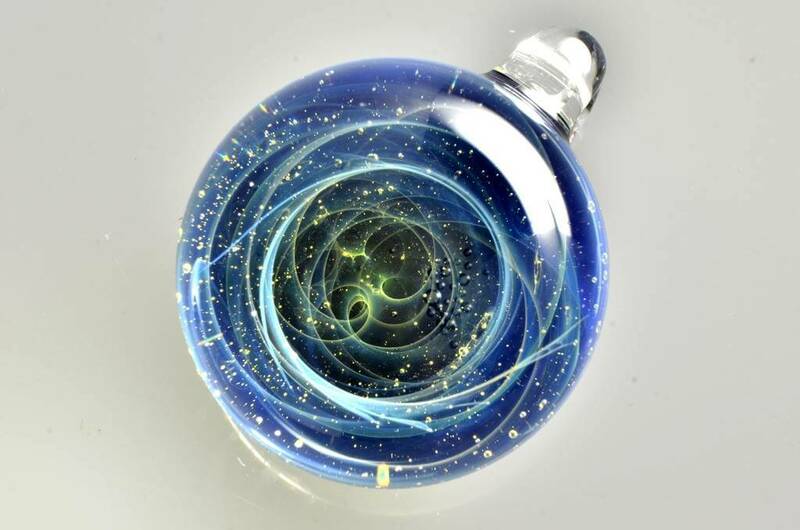 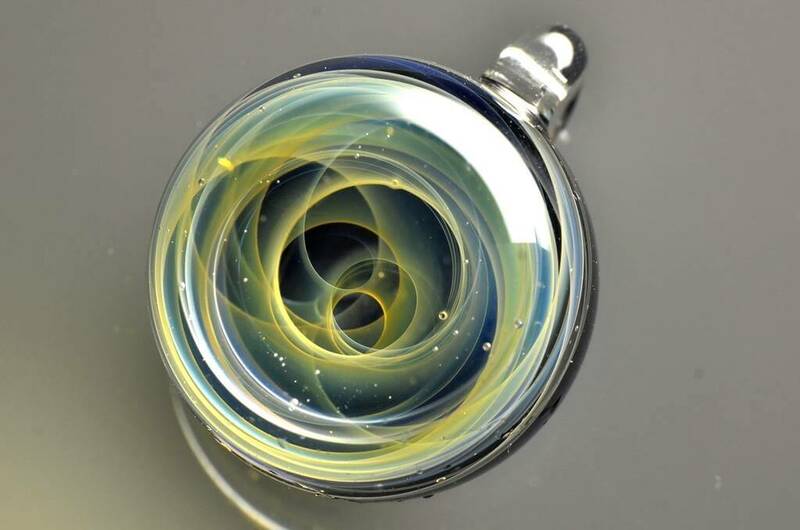 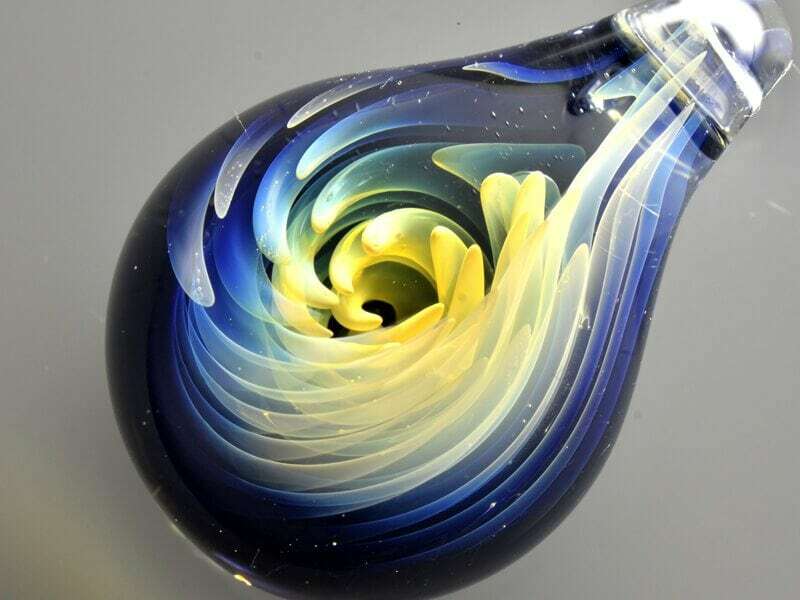 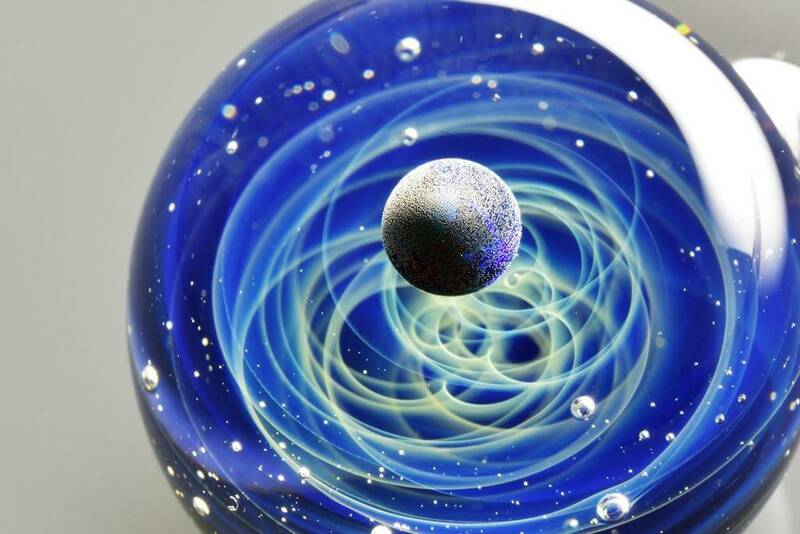 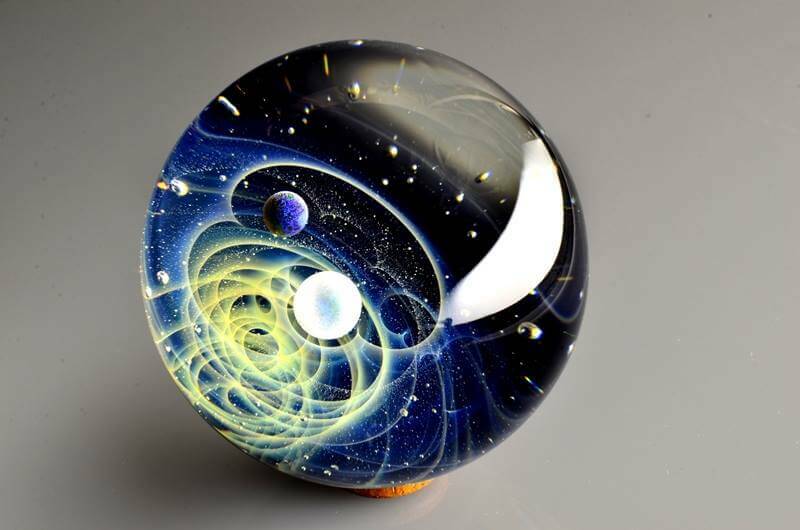 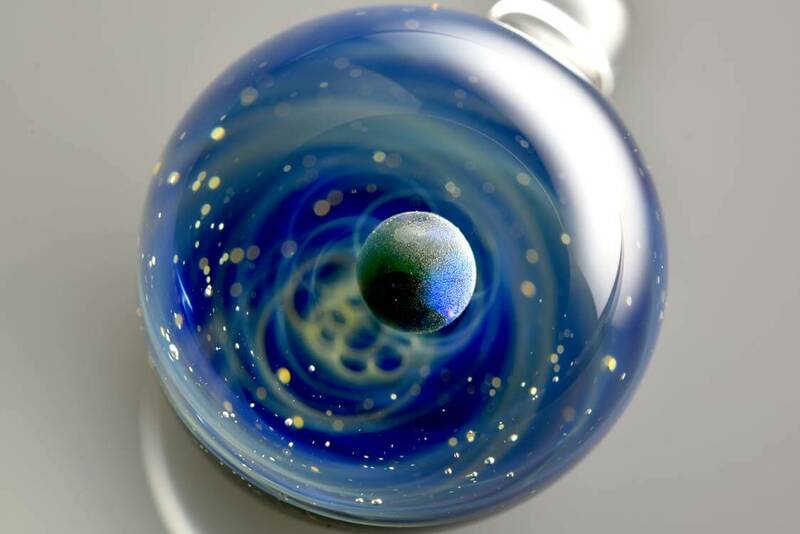 Glass artist Satoshi Tomizu creates small glass spheres that seem to hold entire solar systems and galaxies. 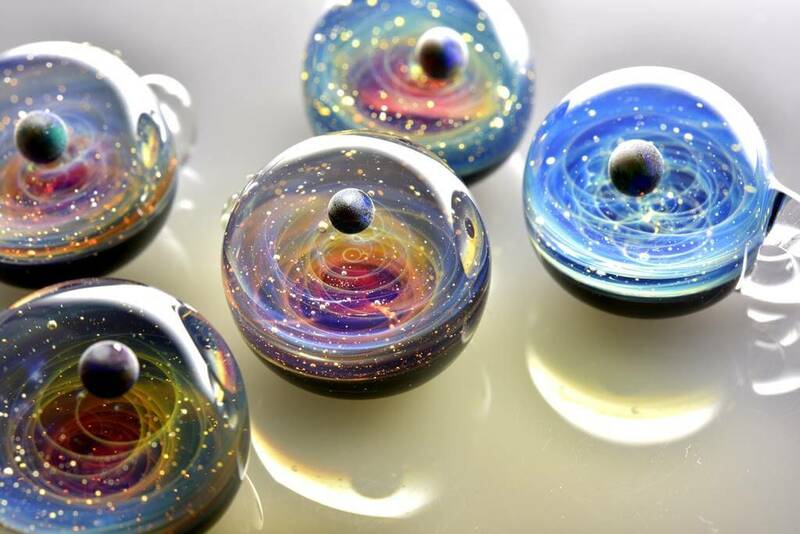 Planets created of opals, flecks of real gold and trails of colored glass appear to spin and loop like twists in the Milky Way. 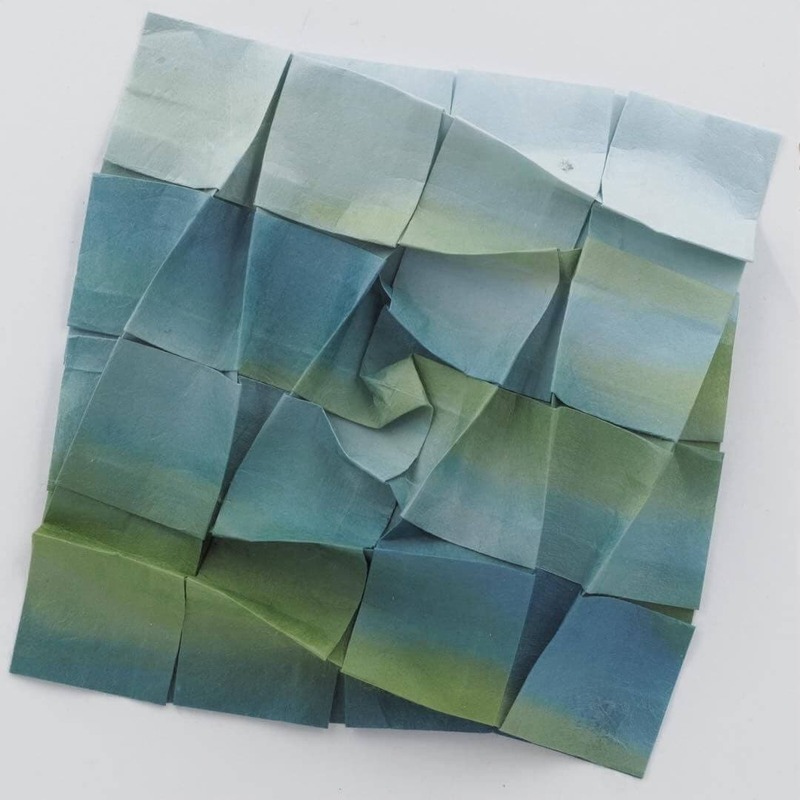 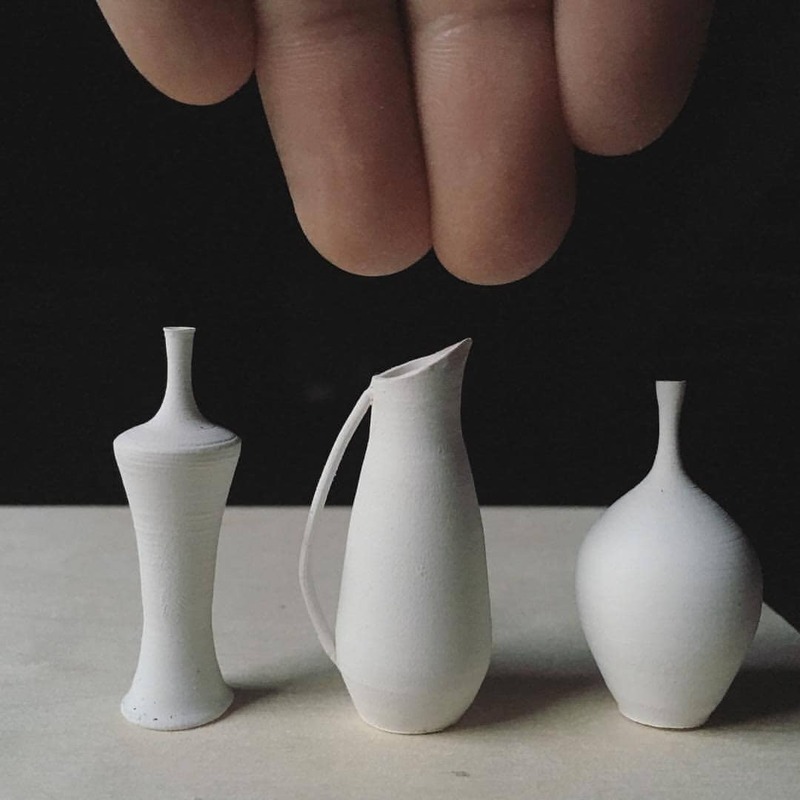 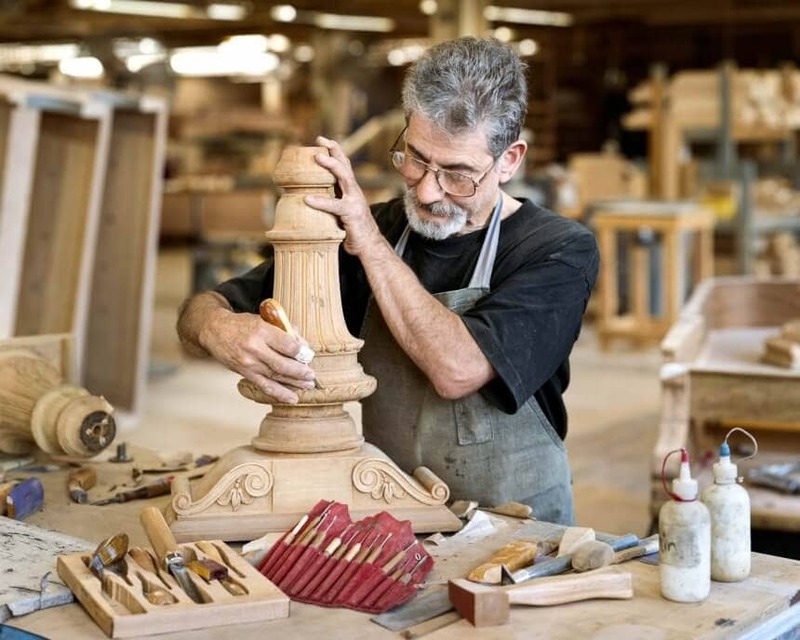 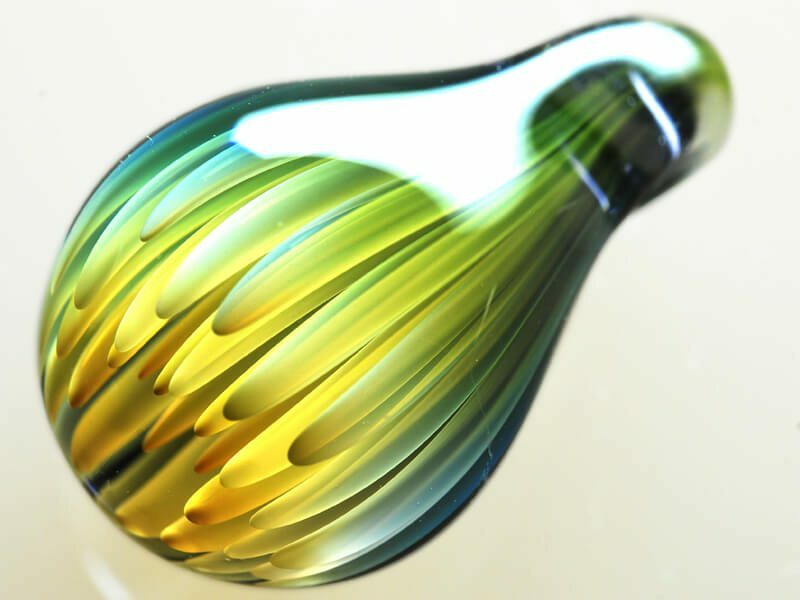 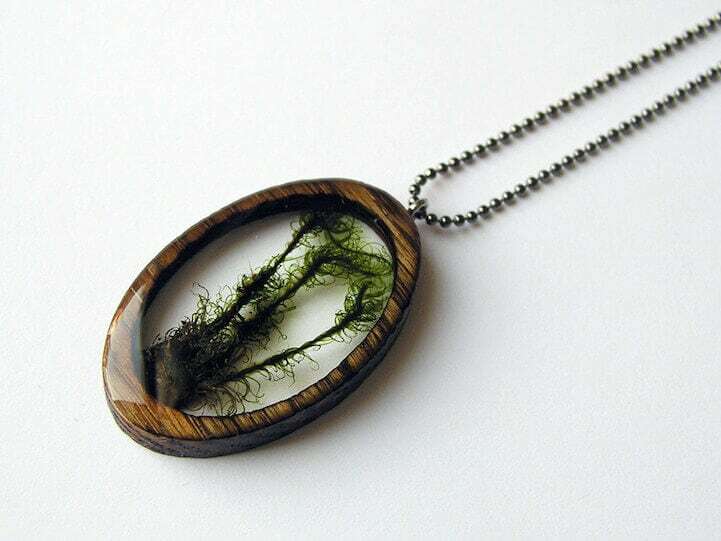 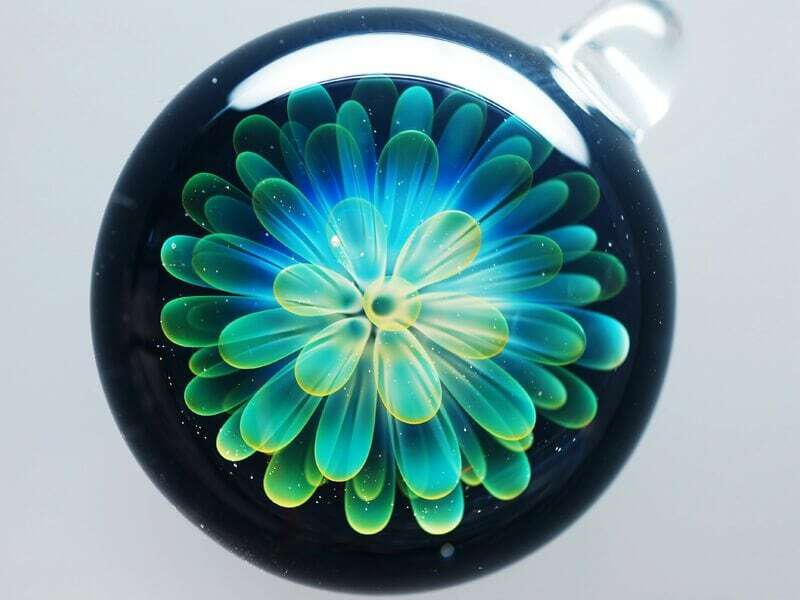 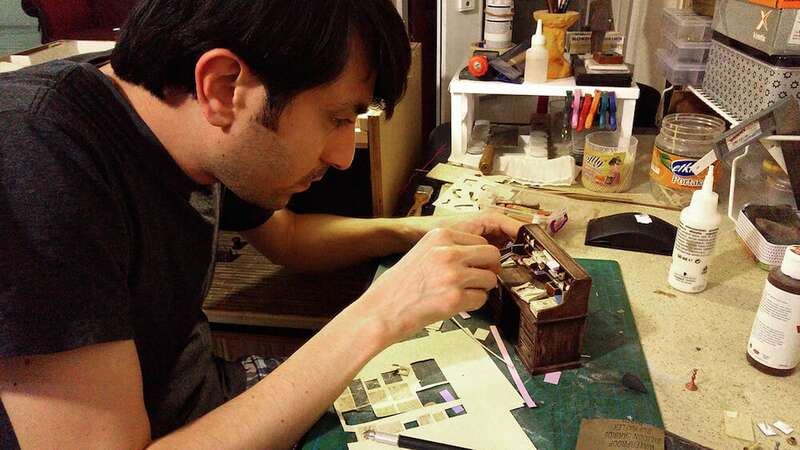 While photographed here in a macro view, the pieces are quite tiny and include a small glass loop so each piece can be turned into a decoration.